The Health Professions Council of South Africa (HPCSA) has confirmed that Prof Tim Noakes, uber advocate of low carb-high fat eating, will be facing a two-day hearing relating to “unprofessional conduct”. HPCSA communications manager Priscilla Sekhonyana told Health24 that the hearing will be taking place on 4 and 5 June 2015. Prof Tim Noakes, whose book, The Real Meal Revolution, is rooted in the concept of “Banting” – low carbohydrate high fat (LCHF) – told Health24 that the complaint was lodged by the Association for Dietetics in South Africa’s (ADSA) president, Claire Julsing-Strydom. Noakes said this has been the norm in the US in 1936 since the introduction of these foods by the Gerber Baby Food’s Company, which is now a subsidiary of the Nestlé Group. “Ironically these were the first ‘industrial’ (ie highly processed foods) and they led in time to the highly processed foods that we now eat (and consider to be healthy), in part because as infants our taste was conditioned by our early exposure to these non-foods. “The aim of The Real Meal Revolution is to encourage the public to understand that they will be healthier eating real foods not fake industrial processed foods. And this needs to begin from birth,” said Noakes. Noakes told Independent Online that he is “ecstatic” about the hearing. “Absolutely, I know I’m going to win. It is going to show up some people’s ignorance and it could not have come at a better time. 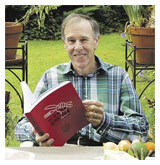 Noakes is poised to release his second edition of the Real Meal Revolution, a guide to the Banting diet. In it, he has devoted a year of research and writing towards how children should be fed. The first edition of his book, the Real Meal Revolution, has already sold over 150 000 copies and remains one of the country’s bestsellers. However, in this instance sub judice doesn’t apply, as anyone with even a rudimentary knowledge of the legal process in SA knows. It only applies in a court of law. The HPCSA is a statutory body, not a court of law.